It takes a lot to surprise me in politics these days. Donald Trump and Jeremy Corbyn have seen to that. 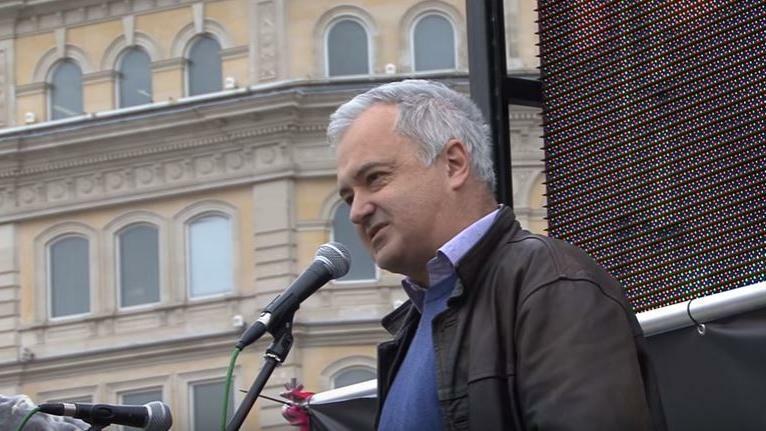 But I retained the capacity to be shocked by Corbyn’s decision to appoint Andrew Murray, a self-professed communist who has defended Stalin and expressed support for the North Korean regime, as the Labour Party’s new election chief. Morally this is roughly the equivalent of May putting former BNP leader Nick Griffin in charge of the Tories election campaign. For all the talk of media bias against Corbyn, some of it deserved, the reaction in the press has been shockingly muted. The reaction amongst Labour candidates, and on the left more generally, has been quieter still. Considering the extent of Andrew Murray’s activities, this is not acceptable. Labour candidates have a duty to explain to their electorates why they are happy for their election campaigns to be run by an apologist for despotism. 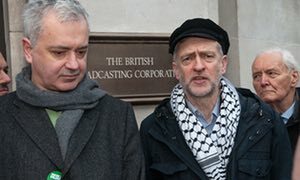 Andrew Murray alongside current Labour leader Jeremy Corbyn. Murray was, until a few months ago, a member of the Communist Party of Britain. Indeed he used to sit on the party’s Politburo (essentially its executive committee but I guess ‘Politburo’ sounds more satisfactorily Russian). As a brief introduction the Communist Party of Britain is a self-defined Leninist Party, which was historically loyal to Moscow. So loyal in fact, that Stalin’s great terror and mass famines in the 1930s were unable to shift it. According to the party’s own website it was formed in response to ‘The call from Lenin to the ‘international Communists’ to…form Communist parties’ separate from social-democratic ‘social traitors’ following the Russian revolution. To mark the anniversary of Joseph Stalin’s birth Murray wrote a piece for the Morning Star, a party whose editorial line supports the Communist Party of Britain’s official programme (titled ‘Britain’s Road to Socialism’). In this piece he claimed that ‘hack propagandists abominate the name of Stalin beyond all others’, before quoting Khrushchev’s remark that ‘against imperialists we are all Stalinists’. Not content with providing cover for one tyrant, he soon went on to openly support the Government of another. Writing in 2003, and referring to the communist tyranny of North Korea, Murray commented that ‘Our party has already made its basic position of solidarity with the People’s Korea clear’. Murray became Chair of Stop the War Coalition, an umbrella group run by a handful of ultra-left sects which nonetheless achieved mass support in the run up to the Iraq War. Murray clearly saw this position as an opportunity to spread his communist ideology, writing to colleagues that that alongside opposing the Iraq War ‘we must do far more to raise the level of our Leninist education’. As an interesting, and perhaps not entirely coincidental, aside Stop the War Coalition’s offices were in the same building as the constituency office of one of its key supporters, a then obscure Labour backbencher by the name of Jeremy Corbyn. 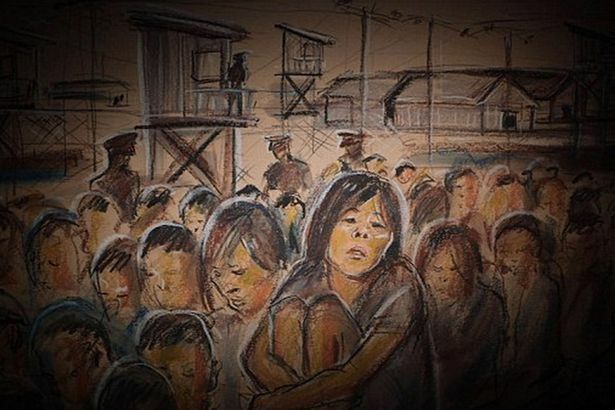 An artists depiction of a North Korean labour camp, based on testimony from a former prisoner. In 2013 Murray expressed ‘solidarity’ with the North Korea Government. More recently Murray has worked as Chief of Staff to Len McCluskey, head of the Unite trade union and close Corbyn ally. When a Guardian journalist visited in 2015 he saw a portrait of communist ideologue and dictator Vladimir Lenin on the wall, and Murray went on to tell the journalist that ‘communism still represents…a society worth working towards’. Murray caused further controversy later that year by claiming that the November Paris terrorist attacks were ‘minute compared to the barbarism wrought by imperialism across the planet in the last 13 years’. Murray’s new role organising Labour’s election campaign is unlikely to trouble his Communist Party colleagues comrades. The Communist Party of Britain has formally endorsed Labour in the upcoming election, telling its supporters that it is ‘essential to win a Labour victory on June 8 and open the way for a government led by Jeremy Corbyn’. As a rough comparison just imagine if the Conservative Party was officially endorsed by the National Front. 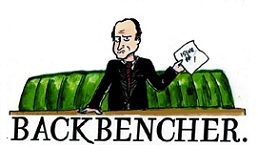 The appointment of Andrew Murray marks a new low for the Labour Party. Its election chief is now a man who downplayed the crimes of Stalin, and supported the abhorrent regime of North Korea. Far-left authoritarianism has, for reasons that are beyond me, never become as completely publically unacceptable as its far-right counterpart. It’s for this reason that, to show the extent of what has happened, I’ve repeatedly made the comparison of the Conservative Party employing people on the far-right. Truthfully though, as a result of not wanting to invoke Godwin’s Law, I’ve been too kind. The only 20th century tyrants that can match or surpass Stalin in terms of suffering inflicted are Hitler and Mao. And current shadow Home Secretary Diane Abbott has already had a decent go at defending the latter. Thus what Corbyn has done is the moral equal of the Conservative campaign being run by a person who downplayed the crimes of Hitler, and expressed support for various fascist regimes. Labour candidates have a moral duty to publically speak out about this farce, and journalists should keep questioning them until they do.